It's summer and the three Barker brothers - Simon, Henry, and Jack - just moved from Illinois to Arizona. Their parents have warned them repeatedly not to explore Superstition Mountain, which is near their home. But when their cat Josie goes missing, they see no other choice. 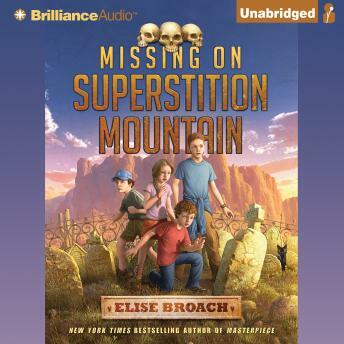 There's something unusually creepy about the mountain and after the boys find three human skulls, they grow determined to uncover the mystery. Have people really gone missing over the years, and could there be someone or some thing lurking in the woods? The Barker boys are dead-set on cracking the case even if it means putting themselves in harm's way. Here's the first book in an action-packed mystery series by a New York Times bestselling author.